When it comes to sanitation of the office (and not only) we cannot help but note that most even results are achieved with professional cleaning. Back assertion, spoken by New Orleans Carpet Cleaning – a leader in the field of cleaning in New Orleans would be frivolous, embarrassing and taken for a ride. And there is no way to curve the soul. In my long practice many times we are convinced that cleaning of the office, with materials at hand are not even close in performance to that made with professional cleaning equipment and chemicals and specially trained staff. Therefore we recommend to all our current and future customers to trust us when they want the home or workplace to shine with cleanliness. Despite the numerous advantages of professional cleaning, there are still cases when there is viewed with suspicion and scepticism. Some people are firmly convinced that only they themselves can achieve flawless cleanliness, no matter what it cost them. We at New Orleans Carpet Cleaning don’t understand such an attitude, we disagree with it, but respect it. And what’s more – we want to fully facilitate those of you who take over themselves the difficult task of sanitation – not with practical actions, obviously, but with useful ideas. We believe that if you follow the tips, you will get results on very high level. 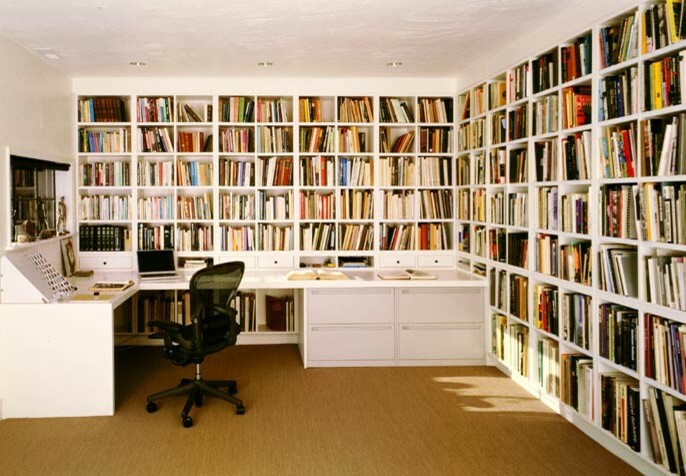 Remove all the books, thoroughly clean the accumulated dirt around the shelf. Pick up garbage from all sides. Clean also the books. Well, naturally, not page by page, but at least wipe the covers with a dry cloth. This will remove the accumulated dust and will definitely look like new. For the shelf you can use cleaner by specifying the material from which the counter is made of. At the workplace you probably have a special place for everything that you’ve built over time, you know where everything is and where to looking for it. Maybe your colleagues do the same. The aim of the exercise is to clean up so well that it is not evident that you have touched something. But how to do this? As a cleaning step by step. First clean the empty surface with a damp cloth, and if you find that you need, use and cleaner, which you used on the bookshelf. Now is the time for “fuss” around the objects. It may sound trite and simple, but to say the sequence – lifting objects, clean under it, around it and itself. It is very important to clean an object, be it a cube or notes organizer for pens and pencils, even the mouse and computer keyboard. People make the mistake, only to raise the object and clean around it. Cleaning the object itself shows that you are really dedicated, you do not waste time to wipe around just to say it’s clean. Do not forget to clean under the workplace and sides. Everything should look great, but a product will do exactly this. Even you can search one with flavour if you want everything in the office to smell of freshness. They are most easily collecting dust in the office. But there is one small catch – you need a special cloth. For no other reason but because we are still talking about technique and can’t wipe it with a rag with hot water. You need a microfiber cloth to clear all the dust on the machines. Wet it slightly and you may not even use the product – the result will be professionally cleaned. This may seem easy words, but to have a professional office cleaning, you should do it like a pro. How exactly? Use a vacuum cleaner attachment with hairs. You have chairs or armchair, where every day customers sit or important business firms or other special guests? This means that you should regularly clean the chairs and furniture, including the flooring. With the attachment carefully go on the whole furniture, paying attention most of the curves and places where small particles can collect fallen from someone’s pockets. Clean with a vacuum cleaner if you go with the dry microfiber cloth to knock down each particle. To remove odours, you can use air freshener. If you have wooden chairs, consider using nail polish or refresher tree – it will give them a new shine. This also applies to furniture made of metal, but for them it is better to take a degreaser and remove with the microfiber cloth. Lamps on the desk, chandelier bulbs, anything that contributes to the light in your office, must be thoroughly sanitized. Even the windows, as for them it is advisable to use a glass cleaner and suitable cloth. You should not miss any place because it will become clear amid all. The more thoroughly clean, the better for your image. Floor, desk, shelves of the library – do not miss anything. The better you clean, the better will vanish the smell of stale, an old and ugly view of dirty office. If the result is not to your liking wet a microfiber cloth, wring it very well until it remain slightly damp and wipe everything again, but faster without signing into the same details as in the beginning. For this task you can use ordinary cloth, no microfiber cloth. Pay most attention on the doors (especially the area around the locks). Remember mirrors, if any, because women often leave marks on them, be it only with fingerprints. Now that you have cleaned everything, you can put an air freshener sprayed or those wooden sticks resembling a Chinese flavour. The first option is suitable if you are looking for discreet and unobtrusive flavour, and the second shows sophistication and class. The selection of fresheners’ office is yours.